The St. Louis Cardinals vs the rangers in the World Series. Today is team shirt day at work. I have just the right Cardinal jersey to wear. I posted this on Facebook the other night. 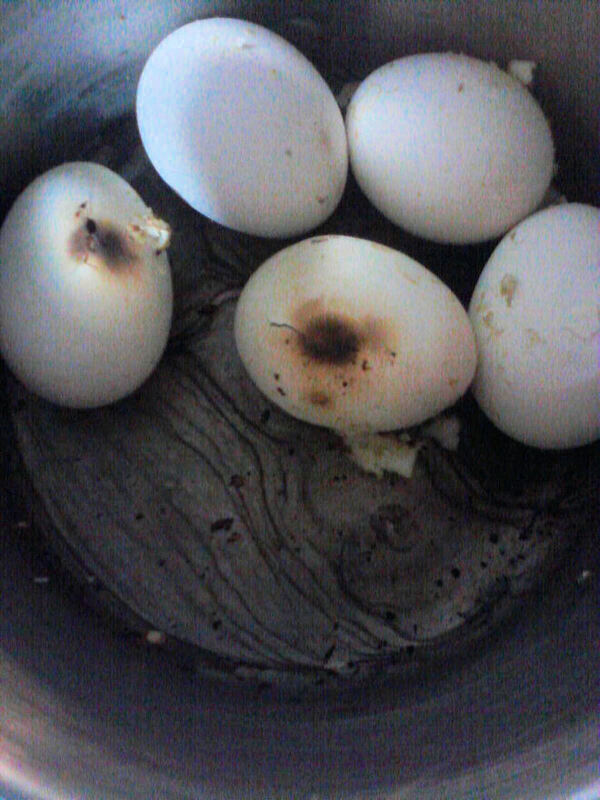 If you boil eggs, take them off before the water evaporates. They will explode. I started with 6 eggs in a full pot of water. Speaking of the tee-vee, I was on it last night. That's me on the left in the Aggies shirt watching Bob Harper and Sunny from the Biggest Loser. Since I am a nerd, I took a picture of the screen. Thank goodness I have lost some weight since the end of August.